You are welcome to effectivemanagementleadership.com a home for leaders and aspiring leaders! I am Michael Affason, pastor and founder of effectivemanagementleadership.com. Thank you for taking the time to find out about us, we hope you have been challenged by our materials. 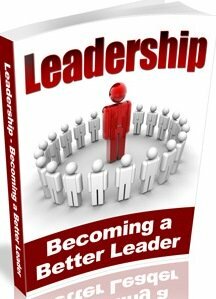 The studies of leadership has been going on for decades now, men and women like Aristotle, Plato, Socrates, John Maxwell, Myles Munroe, Warren Bennis and many more have all contributed to these studies. Each of them gave us their views on leadership and how it worked for them. But with the changes in the world, economy and increase in crisis, the need to redefine leadership is necessary. Our purpose is to help men and women gain understanding on leadership, give them a leadership mindset and ignite a fire to pursue leadership. Our Vision is to help you awaken and enhance the potential leader hidden within you so that you can develop and refine your leadership qualities and use them to benefit the world. Our mission is to raise generation of men and women that will challenge the status quo of life and embrace their leadership responsibility as we teach, encourage and inspire through our materials, videos and post, so that they will fulfill their dreams. We define leadership as the capacity to influence others through inspiration, generated by a passion, motivated by a vision, birth by a conviction, produced by purpose. If you desire to become a leader, it begins with a discovery of purpose. I have been to so many leadership seminars and have been trained by renowned leaders, but I wasn't still effective and couldn't find fulfillment. When I began to raise other leaders, some were effective, while others weren't; this challenged me to go on a personal search for answers. Then one day, while studying in my closet I came to a discovery that most leadership guru’s and seminars focused so much on teaching leadership skills. Though I learnt those skills and achieved success, but I wasn't fulfilled because I had to be someone else. Then I discovered the major ingredient that distinguished leaders. I found out that each leader had different purpose, assignment and passions and this was what determined the skill they acquired and developed. Many of the great leaders like Nelson Mandela, Mother Teresa never went to leadership schools or seminars but yet they were great leaders and every leadership seminar I went too used them as a case study. This discovery changed my life, now i knew why i wasn't fulfilled. Because leadership is not just about learning skills, it begins with a discovery of purpose. Purpose determines your focus, the skill you acquire and fulfillment of potential. When you discover purpose, you naturally discover your leadership potentials, qualities and traits. There we are committed to your success and are focused in helping you discover your sense of purpose, maximize your untapped potential and discover your leadership ability. These principles are very simple, practical, and easy to understand and have been tested and tried and it works, that’s why I want to share them with you. No matter your occupation, career or area of specialty, these principles are for you.